Lynch Fleet and Commercial body shop was built specifically for commercial/fleet truck and RV collision repair and refinishing. Our 55’ down draft booth can fit dump trucks, recreational vehicles, medium duty trucks, delivery trucks, 5th wheel campers, wreckers and flatbeds. This dust free environment ensures an automotive type finish. Our experienced staff has the experience to prep large areas associated with commercial work which insures a quality paint job every time. At this location all we do is commercial and fleet work. 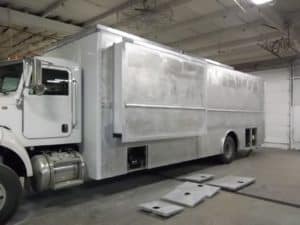 We do collision repair on all types of commercial vehicles including RVs, dump trucks, medium duty trucks, delivery trucks, 5th wheel campers, wreckers, flatbeds, and car carriers. Our staff is very experienced at working on trucks because that is their main focus at our fleet shop. We will ensure that your vehicle is restored to its exact specifications. 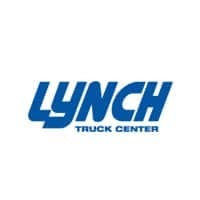 Lynch Truck Center is proud to be one of the only companies that provide RV collision repairs and service within the southeastern Wisconsin and northern Illinois area. Our service department features seasonal specials such as transmission fluid flushes and complete coolant system service.